Two Eduard Yak 3s (actually the same model photographed twice) leave a Tamiya Fw 190F-8 afire. The kits are built straight from the box (Eduard Profipack), with kit decals. 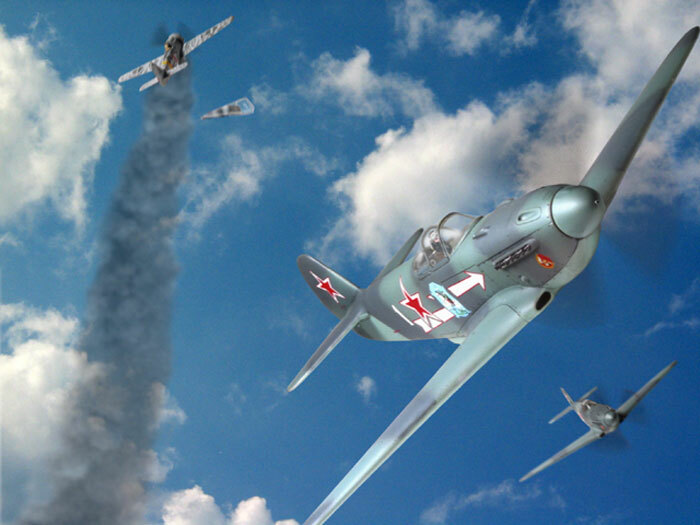 The Russian pilots are from a WWII color photo, and the Ferman pilot & smoke trail were created using the Photoshop airbrush tool.